It is the end of another night out on the town, what kind of craziness did you get into? Me, not too much, beers drank w/ old friends from back home, catching up w/ some family and friends, so you know, the usual, it is what late nights were meant for. I know it is so cold in the rest of the country, but Los Angeles is so warm that it is already getting me in that Springtime mood. It is pretty crazy! Raise your glasses if you’ve had a great night out lately, and tip them (and a few more) back if you need one. 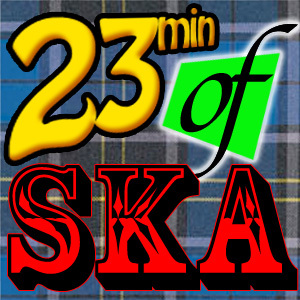 Here’s a fine collection of ska where you get two people singing lead! It is like 2 episodes in one for you here! Whatta a bargain! I hope you all enjoy this episode, as I enjoy myself in the wilds of Hawaii!